Baby Vegas play kitchen accessories will have your child cooking up a make believe gourmet feast. Your kids kitchen would not be complete without some additions from our superior range of wooden and felt food sets. Featuring non-toxic, child-friendly paint and materials, you can rest assured that your children will be safe playing with these toys too. These play kitchen pieces are made to be played with and made to last. Your little one will love playing pretend cook in their wooden play kitchen with real cookie cutters to use with play dough. 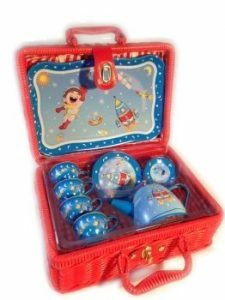 Our beautiful tea sets are perfect for toy tea parties in the yard, feeding imaginations and furthering fine motor skills. 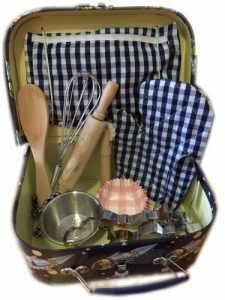 Children learn through role play, so these kids kitchen accessories will educate too as they discover different foods from different places that they may not have experienced before. For some more great pretend play toys for your child, be sure to also browse our selection of wooden toy dolls houses and games.